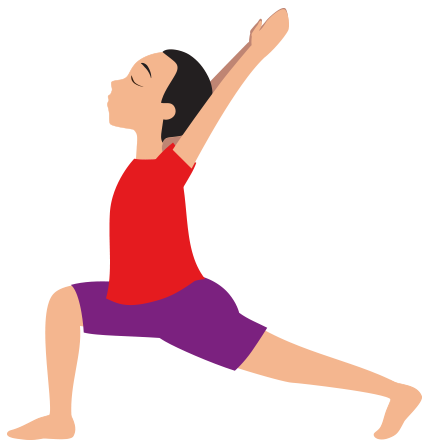 Our teachers have been trained with Yoga Kids International or equivalent accredited children’s yoga training organisation in the UK. Darsak’s inspiration to teach yoga to children was discovered by accident, as he saw his then 18 month old son, Aaron (now 12 years old!!) copying the postures and making animal noises as he held private classes at home with family and friends. The inspiration for Yoga Dynamix began in a spiritual town, called Rishikesh, nestled in the foothills of the Himalayas, India whilst attending an International Yoga Festival in March 2008. Darsak and a friend he met on a trip, Fal Jobanputra, had the same vision to teach children yoga from their own personal experiences prior to the trip and after seeing the children at the Parmarth Niketan Ashram living a simple yet a happy fulfilling life with strong emphasis on yoga as a foundation gave birth to Yoga Dynamix. Darsak has continued to grow Yoga Dynamix to what it is today. Following this, he went onto commencing the training with Yoga Kids International in 2008 and graduated as a Certified Yoga Kids Teacher (CYKT) in 2009. His classes are non-judgmental, non-competitive and playful. 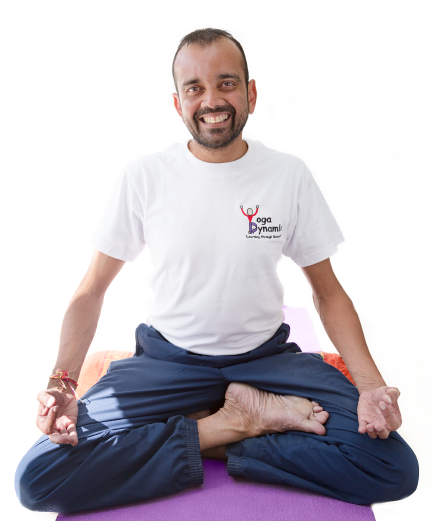 He works on connecting the body, spirit, and mind, bringing a sense of stillness and appreciation, incorporating his love of nature into the practice with guided meditations and symbolically through the poses, challenging students to explore themselves with an open heart, open mind and most importantly, with compassion. 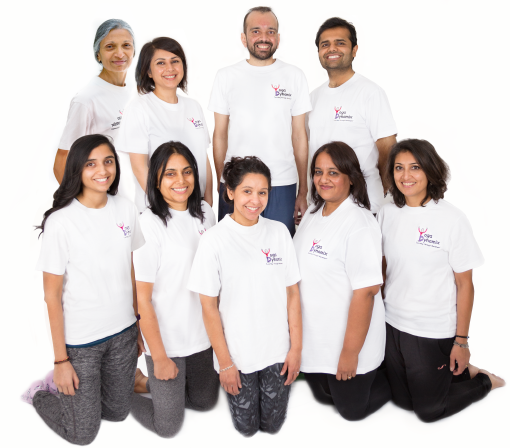 The classes at Yoga Dynamix have evolved and significantly expanded over the last 9 years and we are blessed to have a lovely team of teachers like-minded and passionate to make a difference to both children and adults through their own unique journeys and life experiences. After finishing my degree in chemistry I knew I always wanted to work with children so went onto teaching fun science sessions in school. This ranged from CSI themed days to liquid nitrogen ice cream. I wanted to learn more so I went back to university and got a qualification in working with children and another certificate in mammal conservation. This naturally lead me to teach the school groups visiting ZSL London Zoo, a job I loved dearly. However, after injuring my knee and ankle I was eager to work out but not sure what I could do. I went to my first yoga class as a way to maintain strength and also help recovery and I was amazed at what happened… I realised yoga was more than just the physical practice and even though I practiced every week I was eager to learn more. I took the dive and went to India to undergo an intensive yoga training course and am now a 200-hour Ashtanga Vinyasa qualified yoga teacher. I was so passionate about what I had learnt that I was keen to come back and share the knowledge with everyone! However, my real passion has always been working with children so I went on a children’s yoga training course with Rainbow Yoga and had the most fun time! Now I share my experiences with adults, children, family or anyone who will listen in a fun and mindful way. For more information about what I do check out todaywesmile.com. 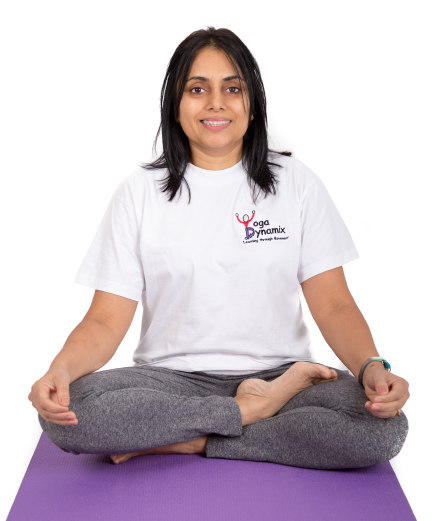 When I first began my yoga journey, it was a physical means of staying fit and flexible, but over the years, blessed to be guided by inspiring teachers, my experience, and understanding of it has changed to realise it is so much more than just asanas. Through posture work, breathing, meditation, and mindfulness, Yoga has helped to improve my overall health, wellbeing, and peace of mind, and has become an integral part of my life. In giving me the tools, it has become my anchor and has helped me face situations and challenges with a calmness that would have been inaccessible to me before. With this in mind, and as a parent of two teenagers, I feel it is so important for Yoga to be part of everyone’s life. I am passionate about sharing what I have learnt, especially with the pressures children and young people face in today’s frantic world. With encouragement from Yogadynamix to start teaching Yoga I completed training with Yogabeez in 2017. 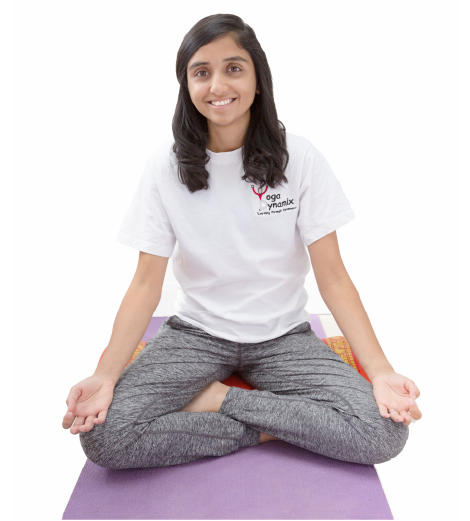 It has been a joy to be part of the team in bringing the magic of Yoga into to children & teenagers lives in a fun and accessible way, and in turn, I am always learning from them, and reconnecting with my inner child! We live a life so full of pressures, expectations and media stimulation it’s not surprising that we spend a lot of our lives feeling stressed or overwhelmed. I used to feel that way much of the time until I discovered mindfulness. I’m now passionate about sharing what I’ve learnt and experienced with both children and adults to help them find a little more peace in their lives and for them to be better equipped to deal with the difficulties that life can bring. I studied economics at Cambridge University and worked as a management consultant at a big 6 accountancy practice, however, the smartest and wisest people I have come across are the mindfulness, meditation and yoga teachers, it has been my privilege to learn from and work alongside them. Since taking up mindfulness I have completed the Mindfulness Based Cognitive Therapy (MBCT) course and the Paws.b teaching course. I’ve since taught Paws.b at a school in Watford and also teach an adult mindfulness class in Harrow. Outside of teaching I have a few other passions, the most important one being a mother to my two boys. Another is my work with Mosaic, a Prince’s Trust Charity where I mentor children from underprivileged areas and am part of their Regional Leadership Group. Working with the children is one of the most fulfilling and life-affirming things I have ever done. Finally, I love to learn – I have a huge love of reading, listening to talks and, when time permits, taking courses. As I continue to learn hopefully I will always have something to share! I have been practicing yoga for many years now and found that it was a great way to gain energy and calm the mind after a busy day at work particularly in the fast paced environment in which we all live. With this knowledge and experience, I was keen to introduce my children to yoga at an early age so that they too would be able to gain from the benefits that yoga has to offer. A few years ago I attended a meditation and mindfulness course for parents at Yoga Dynamix and this taught me how to quieten the mind and focus on my inner self and how meditation techniques can also help to relax and heal the mind. 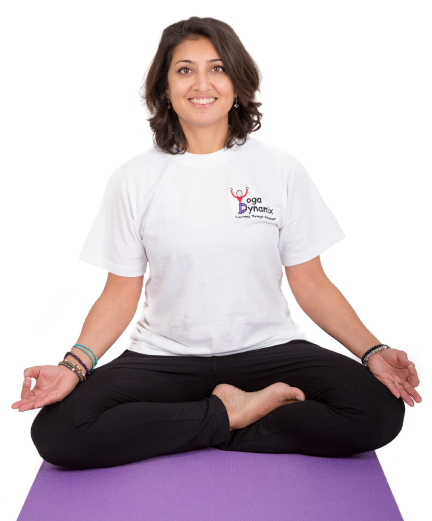 My own children have been with Yoga Dynamix since the first class launched in 2008 and seeing my eldest daughter calmly get through her GCSE’s has inspired me to want to help other children to gain similar qualities. I completed my teacher training with YogaBeez following which I was offered an opportunity to join the team at Yoga Dynamix. I love teaching the children on Saturday mornings and seeing them as they develop into young adults. I am an experienced Yoga instructor committed to making a difference by applying a wide knowledge of Yogic Philosophy & Psychology. I believe Yoga is a healthy lifestyle and a powerful tool for relaxation and happiness for people in their daily life. Being brought up and educated in the Sri Aurobindo Ashram in Pondicherry, South India, I was exposed to Yoga from a young age. 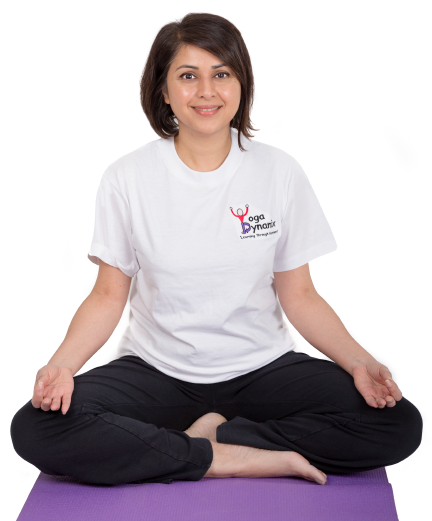 I started practicing Yoga at the age of 9 through to my late teenage years. I was also an avid Indian classical and folk dancer at the time. 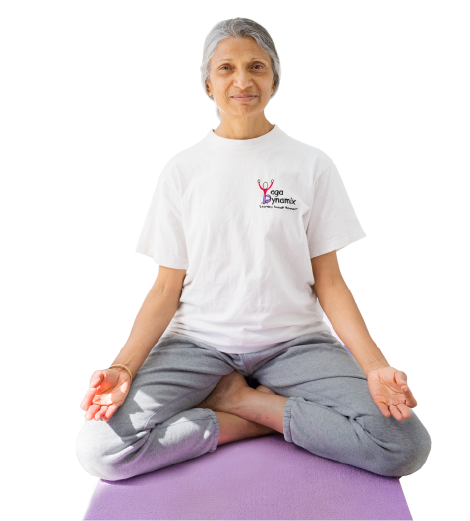 To build on the strong foundation of Yogic principles I learned as a child to heal myself, I completed various Yoga courses; Patanjali Yogpeeth in India, private Hatha Yoga classes, and two years of Iyengar Yoga. However, my practice still felt incomplete. In search of something more, I discovered Michelle and her YogAlign method. Something immediately clicked. I read her book and it inspired me to complete her teacher training. My practice now feels complete, my stomach pains are a thing of the past and my students are really seeing the benefits of the YogAlign method. Yoga is about being a positive force in your life.